Maintenance training is based on the Airbus Active Learning and Competence Focused Training (AACT) philosophy. 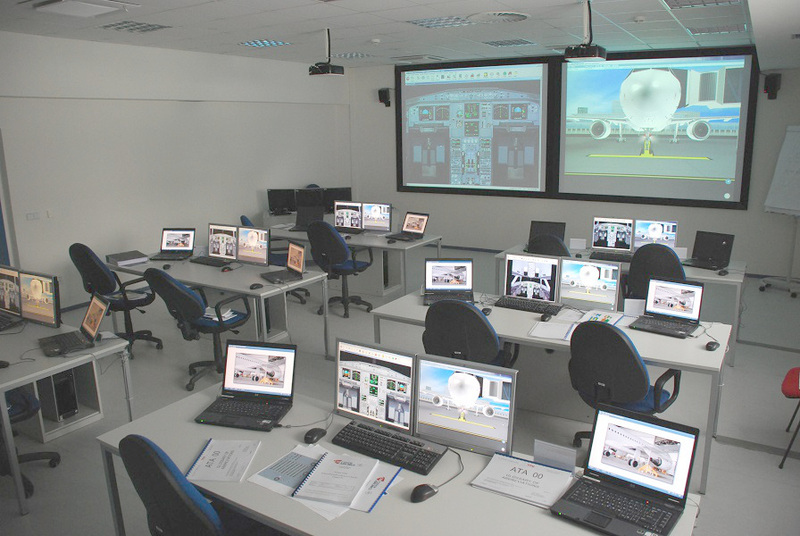 CATC provides Airbus training in a classroom fully equipped by Airbus. The classroom is approved for the training in accordance with Annex IV, Regulation (EC) No. 2042/2003 (Part 147) by the Czech Civil Aviation Authority and the classroom training is conducted by Airbus qualified instructors to lead AACT training. The classroom use of the latest Airbus simulation technologies: the Maintenance and Flight Training Device (MFTD) and Virtual Aircraft allow trainees to perform complete maintenance task in an operationally oriented way and gain practical skills before practising on real aircraft. The MFTD replicates the real aircraft systems and maintenance BITE. The MFTD includes a set of aircraft systems schematic that are animated in real time by the simulation. The courses corresponding to level 1 or 2 or 3 category as defined in Part 66 are approved in accordance with Regulation (EC) No. 2042/2003 by the Czech Civil Aviation Authority.